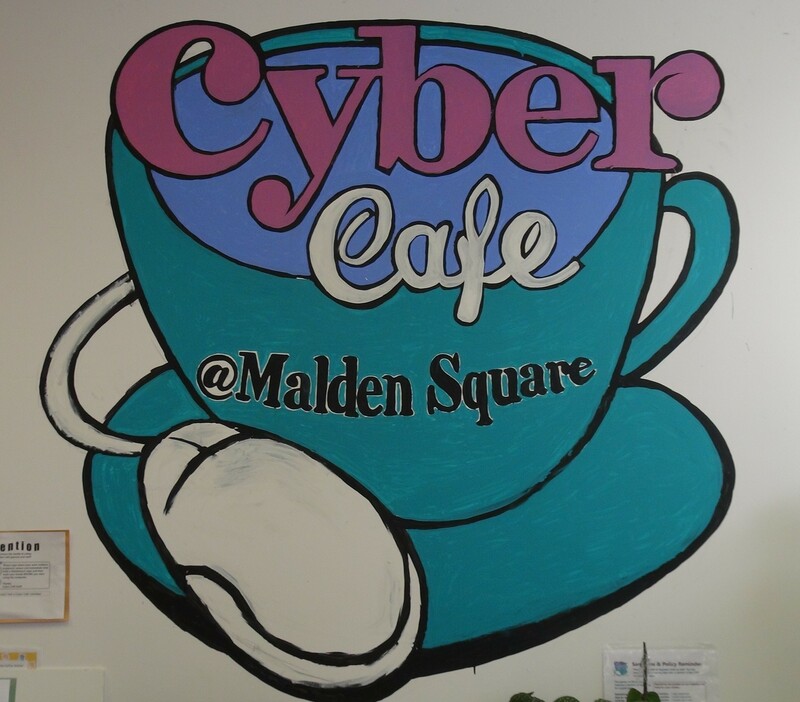 The Cyber Café @ Malden Square located at 110 Pleasant St. will officially close its doors on Friday, March 6. Organizers say it’s an unfortunate ripple effect caused by the financial woes suffered by Tri-City Community Action Program, Inc (Tri-CAP). 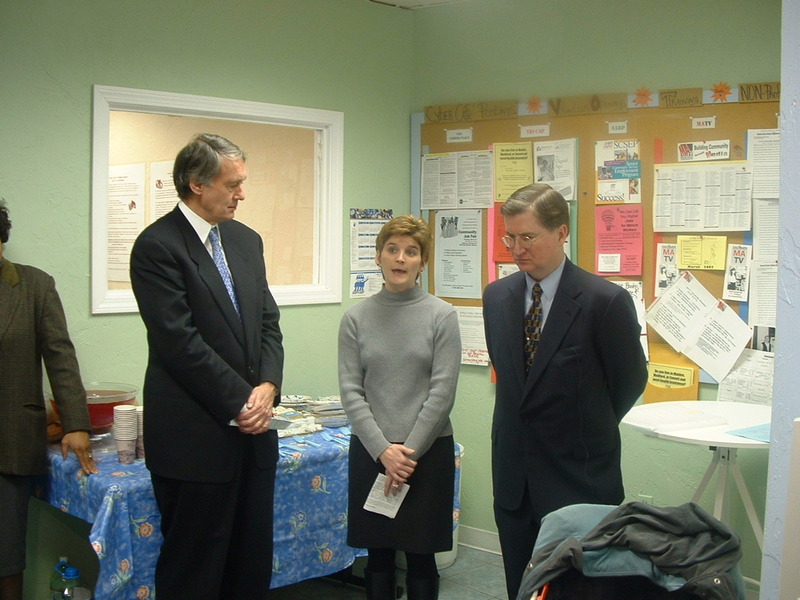 Launched in 2001 by a partnership of several local organizations called the Community Technology Access Coalition, the Cyber Café served the city’s unconnected with Internet and computer access for a low membership fee. 5000th member (second from left) with former Outreach Coordinator (left), Claire Murray (second from right) and Loretta Kemp. Kemp says the news is devastating because the center was set up to bridge the “digital divide,” a term which describes how low income people have comparatively limited technological access. 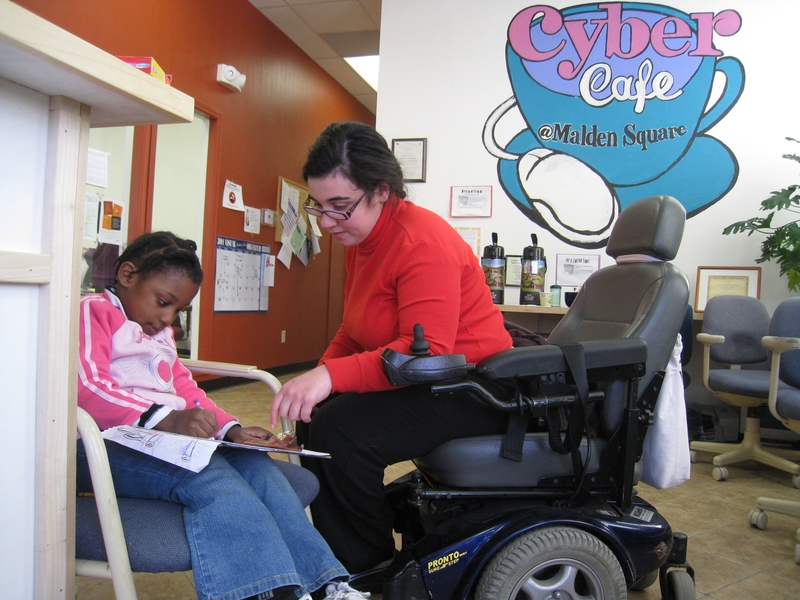 Former Volunteer Outreach Coordinator Sarah Cohen with a patron’s child at the Cafe. 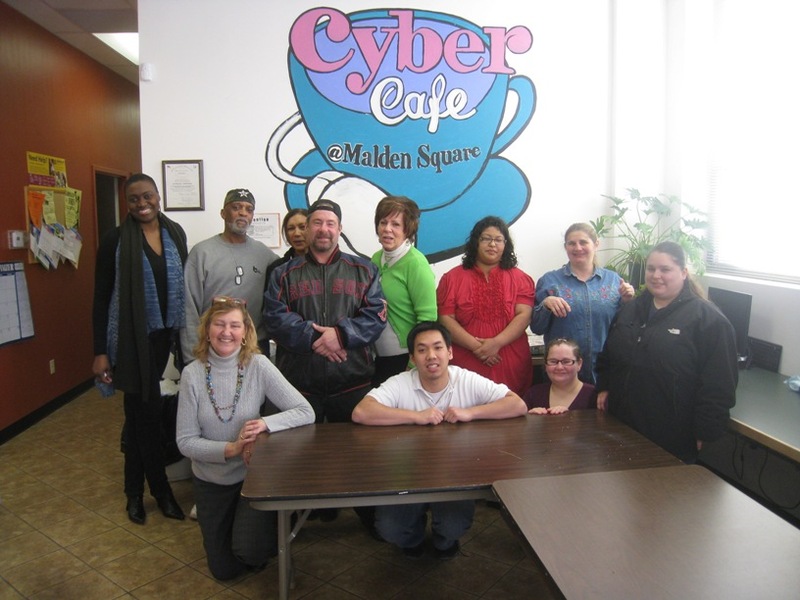 Kemp remarks that the role of Cyber Café transformed since opening at its earlier location near the corner of Pleasant and Main Streets but continued to serve the Malden community. The acting Tri-CAP executive director says support from MATV, The Career Place and Murray Learning Associates kept the center running in its final years. 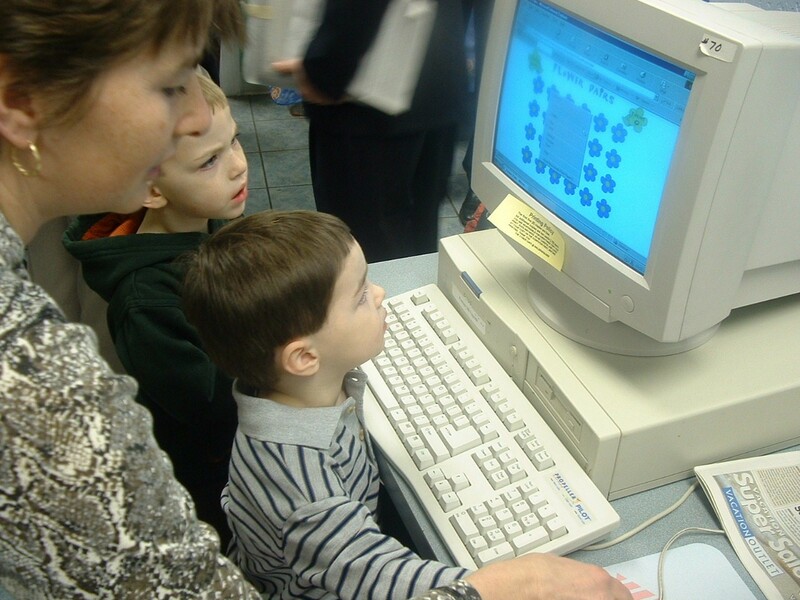 “The primary need were operational funds and all non-profits are struggling to find increasingly scarce resources but organizations such as MATV, The Career Place, and Murray Learning Associates provided the resources they had to keep the Cyber Café going,” she says. 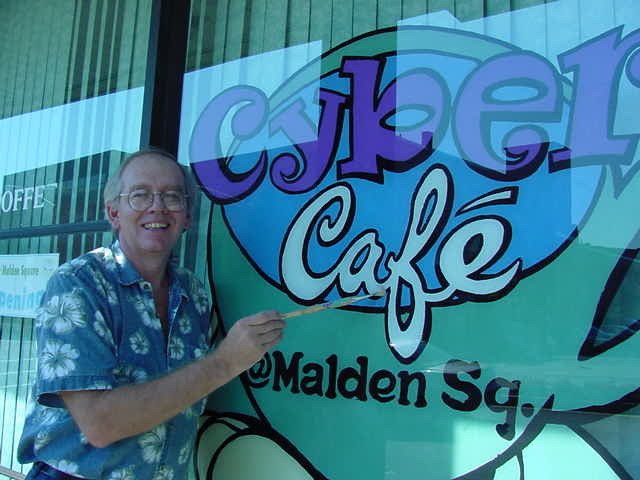 MATV’s executive director Ron Cox designed and painted the logo for the Cyber Cafe in 2001. 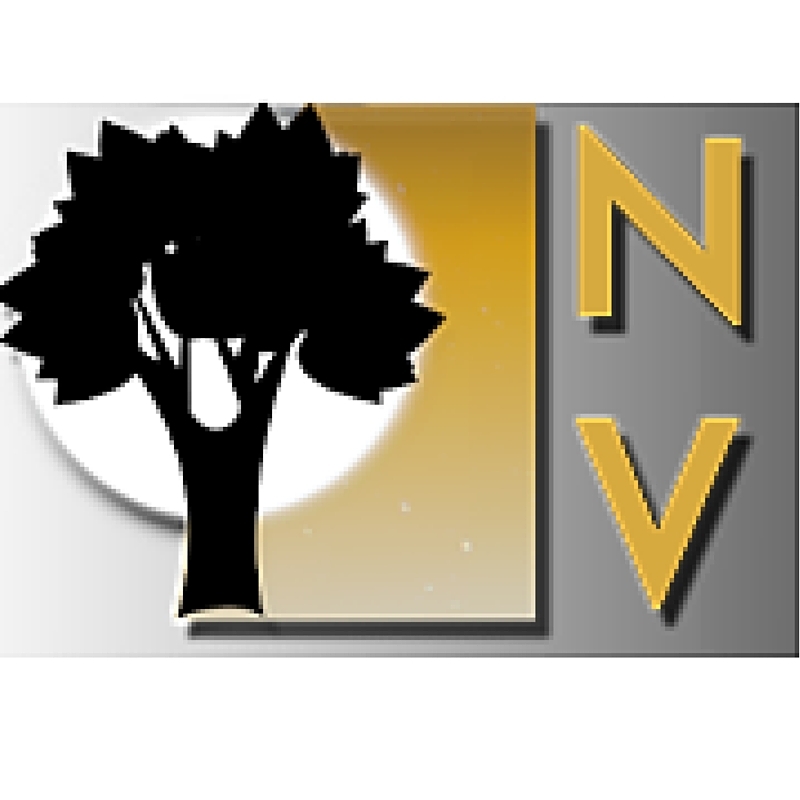 Anne D’Urso-Rose, associate director of MATV, says the news of its closing is heartbreaking. Congressman Ed Markey (left), former State Representative Chris Fallon (right) and friend at the former site on Main & Pleasant St.
It’s a sad day indeed and unfortunately, the digital gap is now bridgeless. 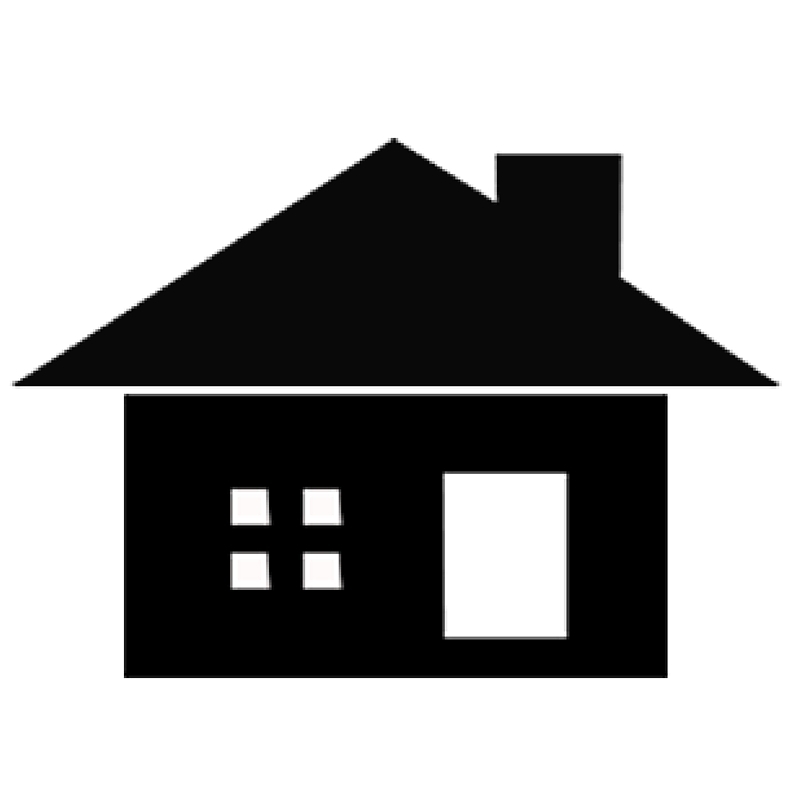 A somber reality but thank you, Neighborhood View for a very informative story. Hopefully, MATV can reach out to those in need and form some kind of interim bridge. Stay tuned!